We at Food Services are dedicated to serving our students meals that are delicious, nutritious, and budget-conscious. 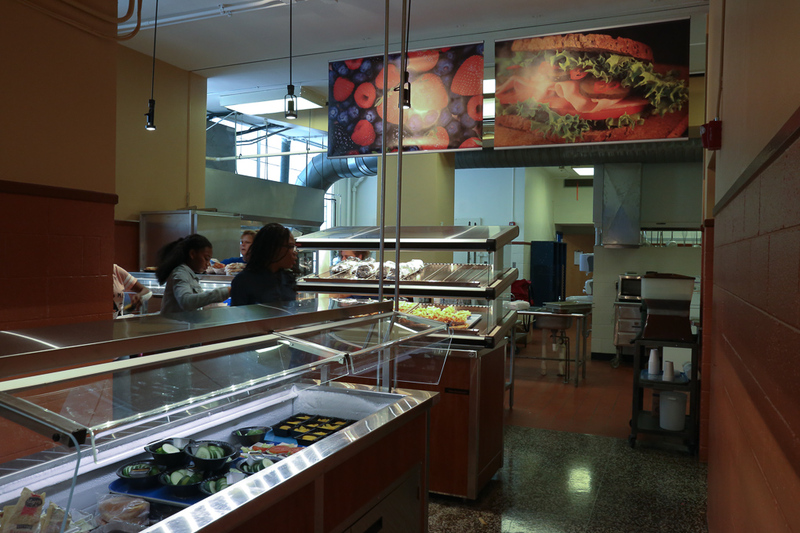 Our cafeterias serve 1,250 hot breakfasts and 2,500 hot lunches daily. About 75% of our students meet federal income guidelines for free meals.. This institution is an equal opportunity provider. (2) fax: (202) 690-7442; or (3) email: program.intake@usda.gov. Eating healthy is a journey shaped by many factors, including our stage of life, situations, preferences, access to food, culture, traditions, and the personal decisions we make over time. All your food and beverage choices count. MyPlate offers ideas and tips to help you create a healthier eating style that meets your individual needs and improves your health. For more infomation, see the ChooseMyPlate web site here.